Home » testit » For all you tradies out there, don’t just take our word for it! Your competitors are proving to your customers that they are the company that should be working for them, and your website or lack of one proves them right. Make sure your contractor website is not failing you — and your customers. Your website is your online reputation. If it looks out of date, people may assume your business is out of date too. 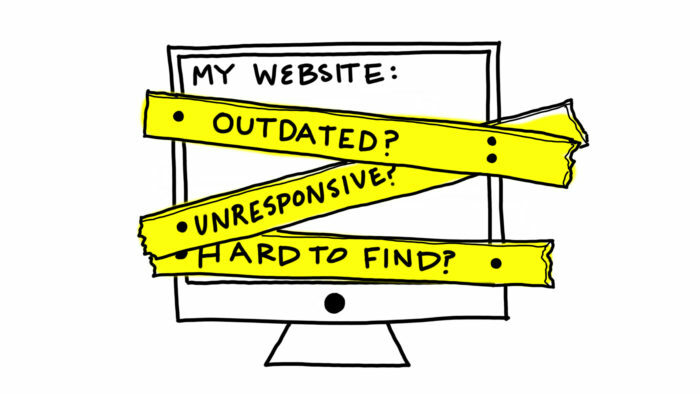 If your website doesn’t look current, then you may be missing out on business opportunities. Competitors, take a look at their websites to see how they’re presenting themselves? Your Website Is Not Mobile-Responsive. Mobile Internet use has skyrocketed in the past few years. If a website is non-responsive on a smartphone most (61%) people said they would switch to another link. Your Website Uses flash Animation. (Or Even Worse…Has Music!) BUT Video is king! Your Website Is Too Slow. If your Website is slow, people will not wait around for all the media to load in your website. 3 Second rule applies here too, if your page hasn’t loaded with 3 seconds they will move on to the next website. A key factor for google ranking is how fast your site loads on mobile. It’s Difficult to Make Changes to Your Website.